Haven't received anything? please contact support@incrediblespins.co.uk for assistance. All you online gamers, it’s raining bonuses here. Isn't that incredible? That’s why we are called IncredibleSpins! Join us and experience the best of mobile casino games with endless jackpots, bonuses and exciting slot games. We are an absolutely fair and secure pay by mobile casino that likes to treat its guests well. 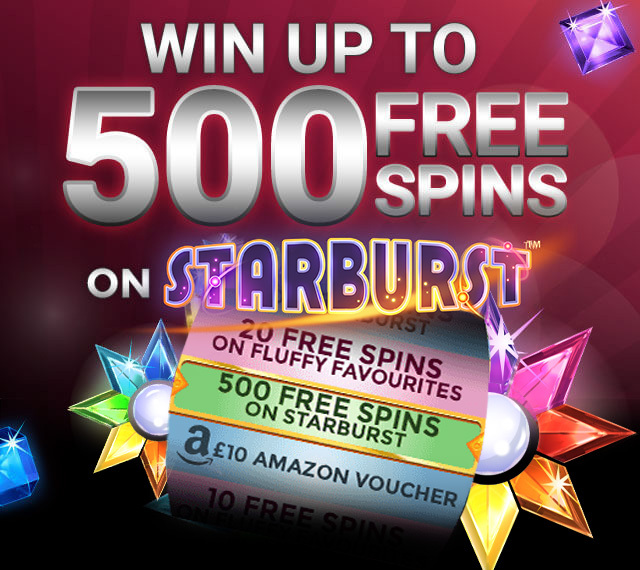 That is why we are giving newbies the chance to win up to 500 free spins on Starburst! This is just a drop in this ocean of games. Login and check our promo page for more stunning offers on casino and slot games. The more games you play, the more surprises are going to unfold. Free spins on slots, bonus funds and casino VIP benefits are awaiting you in the games lobby. The virtual clinking of coins, the buzz, the ringing, the Jackpot could all be yours! What sets us apart from other online and mobile casinos is our diverse set of slot games, fantastic animation and crisp graphics. You can choose from many payment methods, including Visa, Martercard, Paypal, Paysafe and even by mobile, we have it all at the touch of your fingers. There are all sorts of casino and slot games from great providers like NetEnt, Eyecon and more. Be it a novice or an experienced gamer, we have games to keep all casino and slot fans thrilled. We keep updating our games regularly so keep checking back to see what’s new in our casino. For the gamers who like to keep up with the latest slots, instants and more, head straight to our popular tab to take a look at the casino games and slots that are running hot with our players. What are you waiting for, Casino-goers? Get started, make your deposit and start collecting big wins! We are there to answer your queries on our promotions, games and other features. You can email our wonderful support team whenever you like or live chat with them during the day! Getting started is pretty simple, all you need to do is just follow our 3-step registration, make a deposit of £10+ and there you go, bingo! A Welcome Mega Reel will be waiting for you. Welcome to our Incredible Casino. Incredible Spins is operated by Jumpman Gaming Limited which is licensed by the UK Gambling Commission ('UKGC') for customers in Great Britain and the Alderney Gambling Control Commission ('AGCC') for customers outside of Great Britain. All games on Incredible Spins are regulated by the UKGC or both the UKGC and AGCC. Registered business address (no correspondence): Inchalla, Le Val, GY9 3UL, Alderney.